If you're on a diet or simply watching what you eat, you'll likely pass on most dessert offerings. Most desserts contain sugar and flour, two ingredients you want to avoid when you're following a low-carb diet. However, there are some low carb desserts, like this delicious chocolate mousse, that you'll barely be able to tell is low in carbohydrates. All you need is whipping cream, artificial sweetener and cocoa to make this recipe. Some fitness experts swear by low carb diets as good methods for dropping weight. A low carb diet means drastically reducing the amount of grains, fruit and starchy vegetables that you eat on a daily basis. In addition, a low carb diet focuses on increased protein intake. However, there are many experts in the health industry who say limiting carbohydrates is not always the healthiest choice. Regardless, this dessert is one you can enjoy both on and off a diet. Put all ingredients, in order, in a blender. 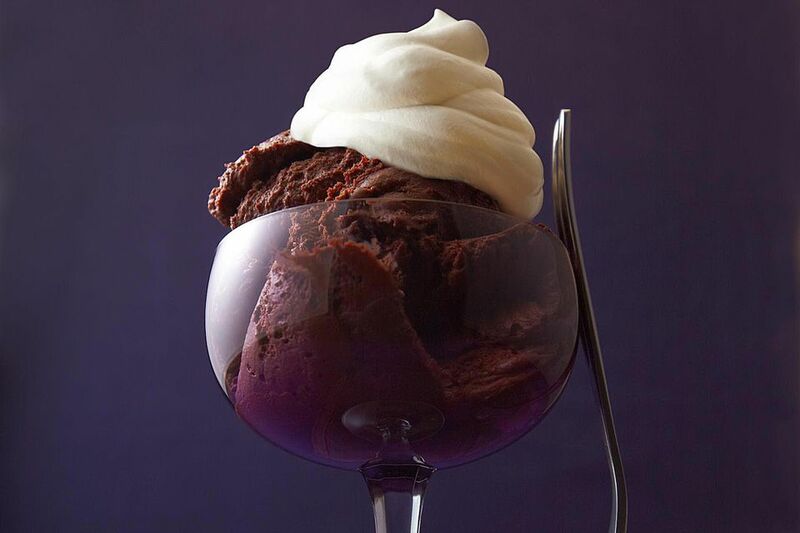 For that special touch, spoon into a crystal wine glass and top with a small squirt of spray can whipped cream and a sprinkling of cocoa powder. Note: I made this in the Magic-Bullet Blender System, which allows you to make this tasty treat fast. I also used Splenda for the artificial sweetener. Splenda is a sucralose-based artificial sweetener that is available in both granular and tablet. Sucralose has "zero calories" as the Splenda label states. Light and Creamy Cups: You'll find these mini key lime pie cups are the perfect light dessert. They are great for baby or wedding showers or anytime when only a finger food will do. The men at a football gathering seem to wolf them down too. Pineapple Angel Food Cake: Angel food cakes are naturally low in fat. This angel food cake is made special with the addition of pineapple. Merry Berry Parfait:You could serve this for a light dessert or a tasty breakfast treat. Mandarin Orange Salad: Although this is a salad it also makes a great light summer dessert.